When you are standing with one leg in front of you and the other behind (i.e. in an Empty stance) and, using only your chest, you push something ahead of you (i.e. moving into a Bow stance), your centre moves towards the object that you’re pushing. The centre can’t travel very far, just from the back leg to the front leg – probably a matter of only a few feet, depending on the length and depth of your stance. 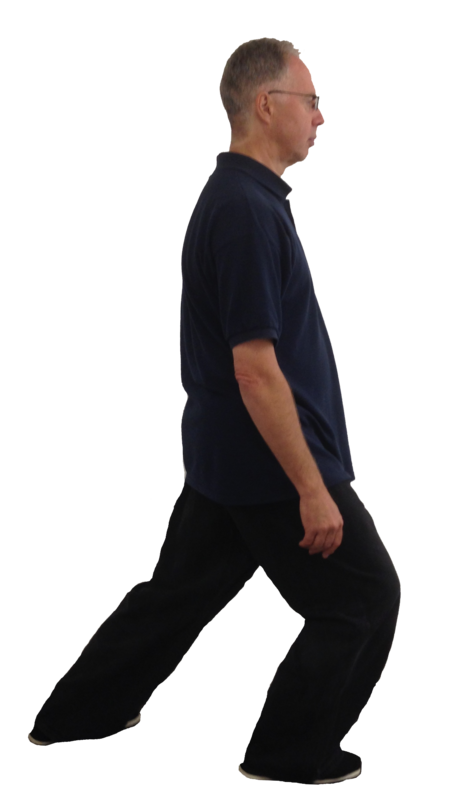 In the action of moving the body forwards, your energy has already projected backwards; it has to – in order to move your body forwards …. e.g. the thrusters of a rocket pushing backwards in order to propel the rocket forwards, or the backward push from a propeller that moves the boat forwards, etc. The maths of this is definitely not something I’m confident about: First of all, there will be some ratio of relative forward to backward power-generation that I am sure someone will correct me on, but it’s possibly 2:1 (the rear leg pushing into the ground behind you, – the backward movement against the forward movement of the body enhanced by the use of the arms). Secondly there’s the over-all generation of power produced through the hands. I really should have concentrated better in physics at school. So what has this to do with opening and closing? The first point is that both the forward and backward movements for the push come from the centre. The second point is that there is more to the push than these movements; whilst pushing, the limbs make a ‘spiraling action’, in other words, in the case of the arms, a rotation of the entire arm from the shoulder. In effect this means that the elbows will either sink or lift upwards and outwards. 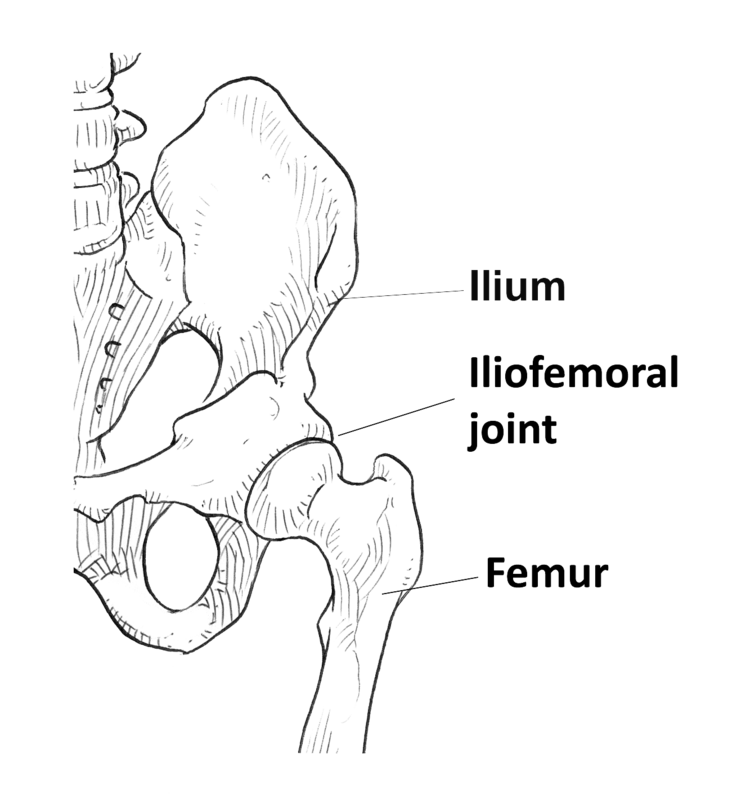 The legs will also be doing something similar, the thighs spiraling (slightly outwards in a push) in small rotations to open up the ilio-femoral joints. This rotation of arms and legs provides more driving power in the push; it’s the difference between trying to hammer a screw into a piece of wood, and turning it with a screwdriver – both will have an effect on the wood, but one will penetrate better. When this spiraling action is included in a push, all muscles in the body interact and become involved; nothing stagnates or stays dormant…… If you try simply pushing one hand out ahead of you as you read this without rotating the elbow inwards or outwards, you can feel that certain muscles don’t really come into play; they might stretch slightly but their actual function – medial or lateral rotation – doesn’t come into operation. Being on the receiving end of this push becomes extremely difficult to resist when all parts of the object driving at you are rotating, even to a small degree. So an efficient push is entire muscular integration, which cannot be achieved without the spiraling action (open/close action) of the legs and arms. 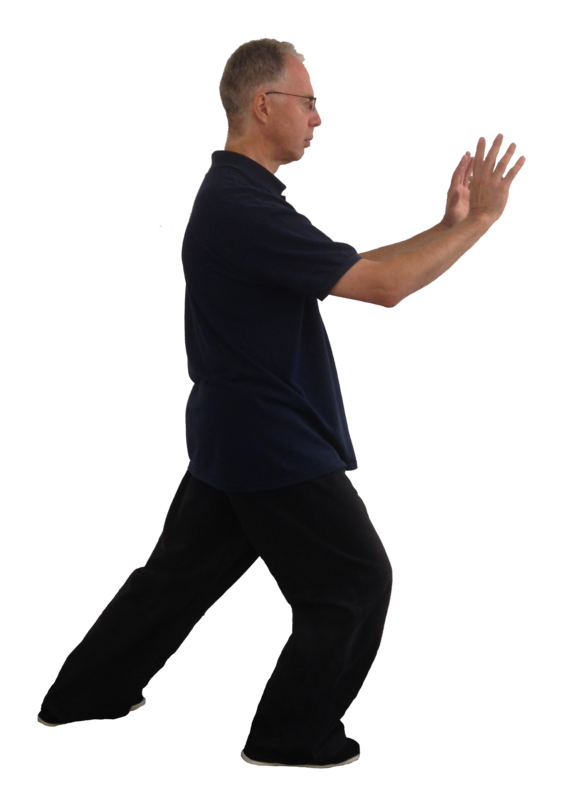 This entry was posted in Uncategorized and tagged bow stance, centre, close, empty stance, iliofemoral joint, limbs, open, open and close, pushing, spiraling, spiralling, spirals, stances, tai chi, taiji on Sep 19, 2014 by Taiji.co.uk - James Drewe Taiji & Qigong. Tucking Under… Don’t FORCE it. The Breathing of Movement in Tai Chi & Qigong. Flapping Around in Tai Chi & Qigong. 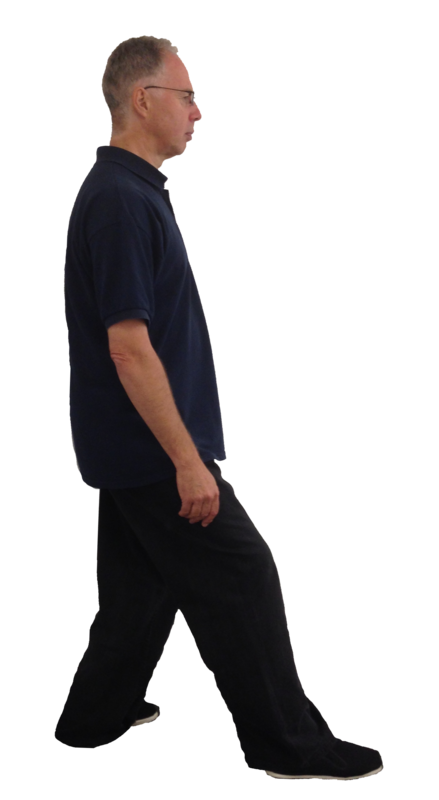 Qigong – Why all the Stretching & Twisting?